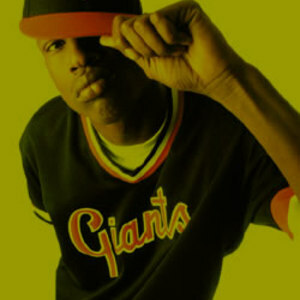 JT the Bigga Figga born Joseph Tom is a hip hop producer/rapper from San Francisco, California's Fillmore neighborhood. JT the Bigga Figga is one of the most notable independent figures in the bay area hip hop scene. He started his own record label Get Low Recordz in 1992 at the age of 18. He became the subject of considerable underground buzz thanks to the success of his self-released 1993 LP Playaz n' the Game; a major-label bidding war ensued, and he ultimately signed with Priority to issue 1995's Dwellin' in the Labb. He became the subject of considerable underground buzz thanks to the success of his self-released 1993 LP Playaz n' the Game; a major-label bidding war ensued, and he ultimately signed with Priority to issue 1995's Dwellin' in the Labb. Don't Stop Til We Major followed a year later, and in 1997 JT returned with Game Tight. Game for Sale was issued in early 2001. He has produced music for such rappers as Daz Dillinger, Master P, The Game, San Quinn, and Messy Marv, altogether more than one hundred albums, which include 12 solos. In fall of 2005 he became the A&R for the West Coast operations of the Houston, TX based Rap-A-Lot Records. He has had a role in the 2004 Spike Lee movie, Sucker Free City. He played Killa Ski, a fictional rapper who had a minor role in the film. JT the Bigga Figga also appears in SKUZZ TV ,a reality based documentary DVD released by 3MZ productions. JT was also the one who got Nas' chain back when he got robbed in the west coast.